Just a quick shout-out to skincare obsessed out there as Oh K! 12 Days of Beauty Advent Calendar just launched. Skincare gifts can also be perfect for X-mas, just like any other beauty or makeup product. Since I’m a fan of Oh K! Sheet Masks I wanted to share the news with you. I’ll be getting the calendar soon and give you more details. I also included a couple of Oh K! masks in my last giveaway just because I wanted one of you to see how awesome they really are. In the meantime you can always follow me on Instagram and check my Instastories where I often post what Oh K! masks I’m using every week! Why not surprise someone special or spoil yourself with this Oh K! 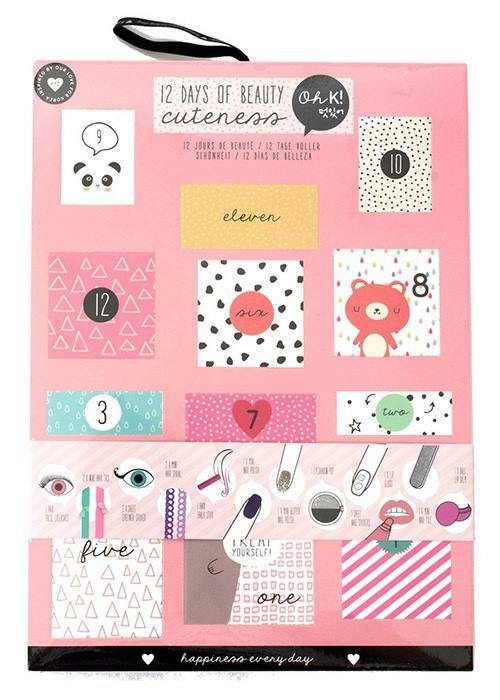 12 Days of Beauty Advent Calendar inspired by fashion-forward Korea. It contains a mini nail file, mini nail polish, mini nail polish glitter, a lip gloss ball and more! What a lovely and affordable gift for Christmas!